Clients rely on Brian Duffy to address intractable problems. And Brian draws on his years of practice to guide them towards practical solutions. Brian routinely assists clients in commercial arrangements, corporate law, employment issues, and litigation. Commercial Transactions and Business Law Matters: Brian frequently drafts, negotiates, and/or reviews contracts, purchase and sale agreements, and similar documents for clients. 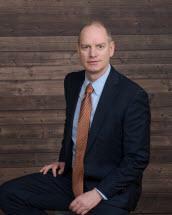 Brian has advised companies regarding contract negotiation management and disputes, and debt collection and insolvency. Brian has worked with clients to standardize routine legal functions increasing effectiveness and reducing costs. Brian has worked with numerous businesses to help them buy or sell stock or assets, take on partners, and negotiate and document other significant transactions. Corporate Governance: Brian has worked with clients to create business entities and establish working governance practices. Brian worked with several Alaska native village corporation board of directors to develop board policies and procedures to help directors be effective. Brian has advised boards and management concerning subsidiary structures and their relationships with each other. Brian has served as an independent election official for shareholder meetings and advises shareholders concerning proxy solicitation laws and corporate elections. Employee Relations: Brian has counseled employers concerning contractual issues, protection of trade secrets, concerns about unfair competition, claims of discrimination, harassment, or retaliation, and termination decisions. Brian has conducted several sensitive internal investigations that have assisted in defusing potential costly situations. Brian worked with employers to help them revise, update and apply their employee policies. Brian has also counseled and advocated for unions and employees in conflict with employers. In 2017, after a trial, Brian convinced a Superior Court judge to enter an injunction requiring the removal of a dock extension that interfered with Brian’s client’s use and enjoyment of their lake front home. In 2014, after a trial, Brian convinced a Superior Court judge to order that a young Inupiat boy be returned to his family in the custody of his grandfather, rather than continue to live in a distant foster home. In 2012, Brian obtained a preliminary injunction from a Superior Court judge, invalidating corporate proxies obtained by a group of dissident shareholders making false and misleading statements. In 2010, after a trial, Brian convinced a Superior Court judge to invalidate a deed of trust and promissory note fraudulently obtained for the benefit of a self-dealing real estate agent. In a reported appellate decision, Ortiz v. State, 173 P.3d 430 (Alaska Ct. App. 2007), Brian successfully argued that a retroactive application of a restitution statute violated the Ex Post Facto Clause of the Alaska Constitution. In a reported appellate decision, Williams v. State, 151 P.3d 460 (Alaska Ct. App. 2006), Brian successfully argued bail statute restricting the court’s authority to tailor bail conditions to specific circumstances violated the Equal Protection Clause of the Alaska Constitution. In 2006, Brian won an acquittal on a felony drug possession charge where the police found drugs stuffed in the back seat of a police car after transporting Brian’s client.